A comprehensive service for the preservation, restoration, protection and improvement of homes, buildings and structures. Here at Cotswold Treatments we offer a wide range of proven solutions to prevent, control and in some cases eradicate damp. 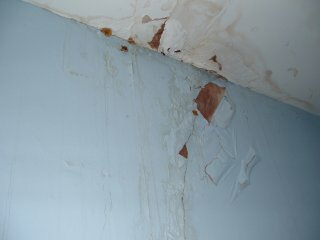 Is my property suffering from damp? Put together a comprehensive report, specification for treatment and quotation. Damp ingress in its various forms i.e. rising, lateral, penetrating, descending and by no means least condensation is responsible for extensive property deterioration and apart from structural and superficial deterioration is one of the basic reasons for timber decay. 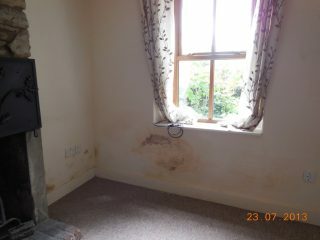 We offer various techniques to control and in some cases eradicate damp ingress, we have vast skill knowledge, and ability in dealing with all aspects of damp, we also appreciate the need to keep pace with the times and use the most modern innovations to provide and carry out the best remedial procedures both internally and externally. Tanking is a cement based coating, the product is cement based incorporating quality graded aggregates, chemical modifiers and acrylic polymers, using this product gives improved strength, bonding and abrasion resistance. Once the product has fully dried it becomes vapour permeable and water tight. Tanking is the ideal product for below ground water proofing, but is also commonly used where residual moisture is high, tanking can be applied both internally and externally and on most substrates i.e. brick, block and stone. Tanking is available in grey and white. A traditional DPC is a chemical damp proof course which is used in walls above ground floor level there are many different systems on the market today, these types of product are used to control the effects of rising damp, where existing damp proof courses are missing or have broken down. These types of damp proofing methods are widely used in the industry and are low odour, non-flammable (when diluted), non-caustic and spread rapidly into the masonry. There are many different membrane systems on the market today, they are used for waterproofing floors and walls, the membrane itself is fixed to the wall/floor surface using plugs with a water tight seal, the membrane is tough yet durable, depending on the severity of water ingress will depend on the system most suitable for the property, where water ingress is particularly high the use of sump pumps and drainage channels may be required, membrane systems have a long shelf life and are generally guaranteed long period of time. If you are suffering from Damp in Bristol, Weston, Gloucester and surrounding areas, then please contact us on Bristol : 01454 417199, Gloucester: 01453 511154 or Weston-Super-Mare: 01934 331511. 2019 Cotswold Treatments (PP) Ltd.